It was the morning of March 4th, 2008. I had adopted our 4th child, a toddler, only two months prior. Due to her erratic sleep schedule and the need to acclimate our new baby into our family, I was mostly house-bound. 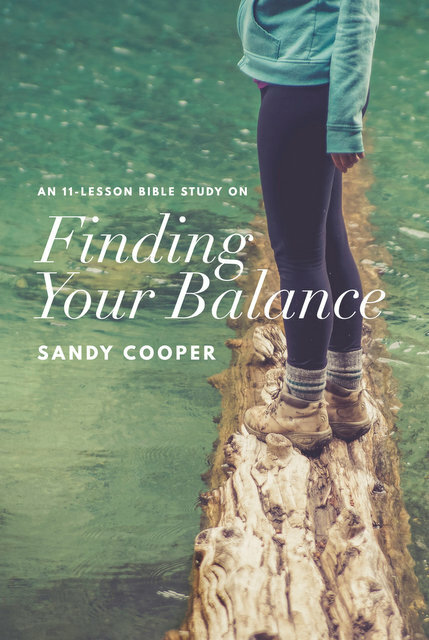 Because of the adoption, I was taking a break from the weekly Bible study I led in my home (a “break” that sadly became permanent, as we never could re-coordinate our schedules to make it work), and I was desperately seeking an outlet to write, teach, and connect with other women. In 2008, blogs were new-ish. I only read one faithfully–Lysa Terkeurst, who is now an internationally sought-after speaker and NYT Best-Selling Author. But, in 2008, Lysa was a mom with children at home and a growing ministry called Proverbs 31. Every day at 8 am, after I got my little ones off to school, I’d put my baby into the high chair for breakfast, sip my coffee, and log onto my laptop to read Lysa’s funny and encouraging posts. I looked forward to it every morning. Within about an hour, I created my new blog on Blogspot, wrote an introductory post, and hit “publish.” Then I sent an email to all my real-life friends telling them I started a blog and asked them to come read my one post. And just like that, a blog was born. Readers left comments–blogs were very community oriented. Bloggers all read each other’s blogs. We all became fast friends. Finding new blogs and leaving comments was a daily practice for me. Social media was barely a thing. I had no social media accounts and swore I never would. The iPhone had just been released, but I didn’t know anyone who owned one. I had dial-up internet and a landline. I was saying goodbye to my 30s (and also my toned thighs and wrinkle-free face), and looking ahead to my 40s. I had 3 children at home, ages 1, 6, and almost 9. I had been married almost 15 years. Blogs are now more of a professional writing space. Most bloggers only post weekly or less. Instead of blogs, writers post their everydayness on Facebook, Instagram, or Twitter. Many bloggers who started in 2008 have abandoned their blogs and disappeared. Others have gone on to publish books, host podcasts, release online courses, and start businesses. I am one of those few blogs who falls somewhere in between. Everyone has a smartphone and is, thusly, glued to their smartphone. People read everything on their smartphone. Readers rarely leave comments. Bloggers do not have time to read anyone else’s blogs because the online noise has reached unprecedented levels. In 2010, I started AND ended a second blog (The Amazing Adventures of Fitness Friday Girl). 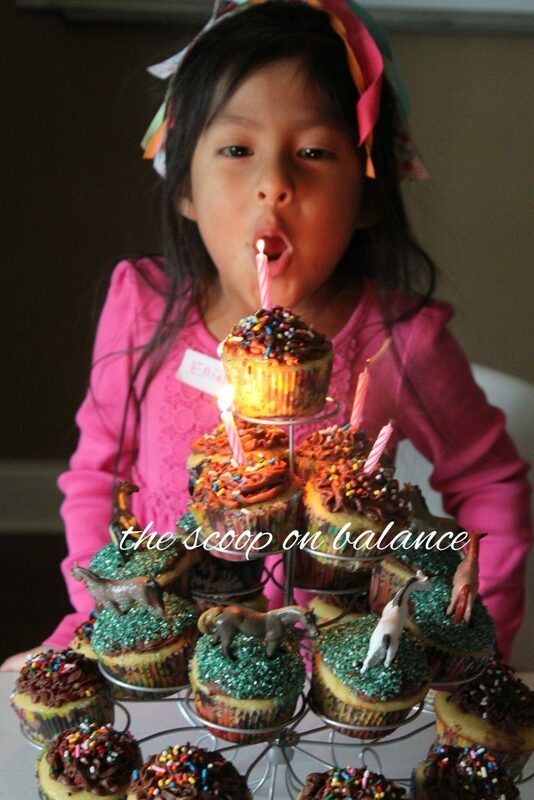 In 2012, I redesigned and renamed my blog from God Speaks Today to The Scoop on Balance so I could write about everything. I also moved from Blogger to WordPress. I am saying goodbye to my 40s and looking ahead to my 50s. I do not recognize my legs or the middle-aged woman who looks back at my face in the mirror. My children are 11, 16, and almost-19. My oldest child moved out last Fall. I will be married 25 years in October. In the last 10 years, I have realized parenting and marriage is so much harder and requires so much more of my time and energy than I ever dreamed. Therefore, blog-growing and book-publishing has mostly taken a back seat. During the last several years, I stopped trying to win the affection of publishing houses and instead purposed to be quietly and privately faithful to what God has placed in my hand–namely, my children, my marriage, and the women in my community. I have taken several extended blog breaks–one lasting 6 months–to regroup and reassess the value and viability of blogging. Some of my original readers from that very first post still read my blog. I am still in touch with many of my blog friends from the early days. I have met several of them in person. For a writer, blogging is about the best thing going to provide an ongoing worldwide (!) platform to get a message to people. It’s miraculous, really. I’m thankful for the early days when only 25 people were reading. I said some stupid things back then, was too sarcastic and was too in-your-face. Writing daily for a small audience helped me to find my writing voice and learn to filter my opinions. I’m kinder now, I have a stronger filter, and that’s a good thing. The regular readers of my blog are the kindest, most encouraging people on the Internet. And I mean that. I need to write every post like it’s someone’s first impression of me–because for many people, it is. Always ask the question, “Does this add value?” If not, don’t publish it. Guard my children’s privacy–they grow up and read the blog. And so do their friends. I love looking back at my stats and seeing what struck a chord. It’s never what I think, which is so funny to me. I only have blog stats that go back to 2012 when I switched from Blogspot to WordPress. Nonetheless, here are a few fun facts. Top Referrer: Facebook, by a LONG shot. Well-over 1 million people have come over from Facebook alone. This also explains my complicated relationship with Facebook–I can’t quit you. What to Do When Someone Is Mean to Your Child This one wins by a landslide. This post went viral (mostly on Facebook) and continues to be my most-viewed post EVERY SINGLE DAY, 3 years later! More on Mean Kids This was the follow up to the first mean kids post, where I respond to many of the issues addressed in the hundreds of comments. Recipe: Balsamic Vinaigrette I think this one gets traction from Pinterest. All I know is my top 3 most viewed posts have nothing to do with “balance” or “hearing God’s voice.” I don’t know. I Want to Adopt But My Husband Does Not, What Should I Do? This one is part of a series on I wrote on adoption. I love this series so much because adoption is about my favorite thing in the world. I’ve had the honor of praying for many mommas who reach out to me after reading this post. Fitness Friday: P90X3, The First 30 Days (A Preliminary Review) I don’t know what to make of this, except that a lot of people want to know if P90X3 is a good workout. (the answer is yes) Also, notice the variety in subject matters thus far–apparently, I have not found my blogging niche. Whether you’ve been here for 10 years or 1 day…Thank you for showing up! You are the reason I keep coming back. I love writing for you. Here’s to 10 more years. For my blog-birthday, I’d love to hear in the comments how you found my blog and how long you’ve been reading. Are any of you here from the early days? Who remembers The Amazing Adventures of Fitness Friday Girl? This is the best anniversary post I’ve ever read. I’ve been blogging since 2008, too. and taking care of myself and putting my family and my health I learned FROM YOU. I followed a link to your crockpot blog, left a comment, and you responded! I was so impressed, because by the time I found your blog, it had already taken off. “Big” bloggers had stopped responding to comments and I was just so happy that you took the time to reply with an actual PERSONAL and THOUGHTFUL response. Then I followed you over to Totally Together Journal and devoured every word. And somewhere in the midst of all of that, you followed me back. So fun. I love reading your blog over the years because it’s like we’re standing in the kitchen, late at night, talking about stuff. I miss that. Those are some of the BEST memories of my life. Whenever I talk about how I didn’t move out until I got married and how I never went away for college, I always, always talk about how I got to live at home with my brother, who was also my best friend, and how we’d sit up and talk and talk and talk. I can’t remember how I got here. Probably something in the Fitness Girl website caught my eye. I love blogs and I miss the good old days when there were more people writing more often. As you said, a lot of them have moved on. It’s the stories that draw me in. Good writing, a voice I enjoy reading, and more good stories keep me coming back. I’m still here so clearly you have the writing voice and stories that I like. 🙂 I have a blogger blog that I started a long time ago with stories of my kids and our travels. I recently started another blog with a different focus. I didn’t want the original blog being spread around. It’s public so anyone could find it if they really wanted to but I only ever told family and close friends that it was there. I’m letting my new blog out into the light of day even though it’s still only family and friends reading right now. lol Apparently my solution to missing the old blogs is to start one myself. Keep writing so I can keep reading! I miss those days, too Sheila! I love good stories and good writing too. I feel like it’s harder and harder to find those kind of blogs–mostly because there are just SOOOOO many– and I don’t really have time to look for them. I’m so glad I continue to make the cut. You can post the link to your new blog here, if you’d like. 🙂 I’d love to come over and check it out. Oh wait…I see your blog linked in your name. YAY! Thanks! It’s still just a baby blog, finding its way in life… I also just started a Facebook page to go with it to have a place to post other little tidbits I found interesting but that wouldn’t get a whole blog post. (https://www.facebook.com/behindeveryday/) Because as you said, a lot of the conversation has moved to social media. I’m still figuring out the design and such and have problems like the rss feed signup button won’t work but hopefully I can get the behind-the-scenes setup figured out soon. That way visitors can see my blog the way I envision it rather than seeing my blog still wearing its pajamas which is pretty much how it is now. haha I am finding though that my blogspot blogging experience has helped me feel more confident as I’m starting the new site, which is nice. I’m new but not completely new, if you know what I mean. I don’t remember when I started reading or why, but I know it’s been at least five years, and it was probably me searching for help on stress management and balancing a crazy schedule with a crazy amount of kids. 🙂 I still struggle with this., and suspect that I always will. But you have given such great advice and when I have followed it consistently, I am better off! So thank you for sharing your stories and anecdotes and wisdom. And please keep on sharing! Awwww…I’m so glad you are here! I still struggle, too. You are not alone. And I also do better when I put to practice what I teach. Go figure. Wow! 10 years! Congratulations on maintaining it. I have many ideas and almost “start something” weekly but I’ve come to realize that while I’m a great starter, I’m a poor maintainer (for the most part). Now my former WordPress blog name, subscriber list as well as my personal name has become a victim of a cybersquatter. I’m just glad whomever it is only posts about kitchen remodeling. Sigh. I wondered why I kept getting kitchen updates from you. For awhile, I thought that was your new thing. I love the paintings you do now…love seeing them on Instagram. I think you found your groove…though I do miss you in the blogging world. Do you recall how we found each other? I know it was early…maybe comments on Lysa Terkeurst’s blog? I thought I’d searched for you on Instagram and didn’t find you, but I just found you there.. YAY!! 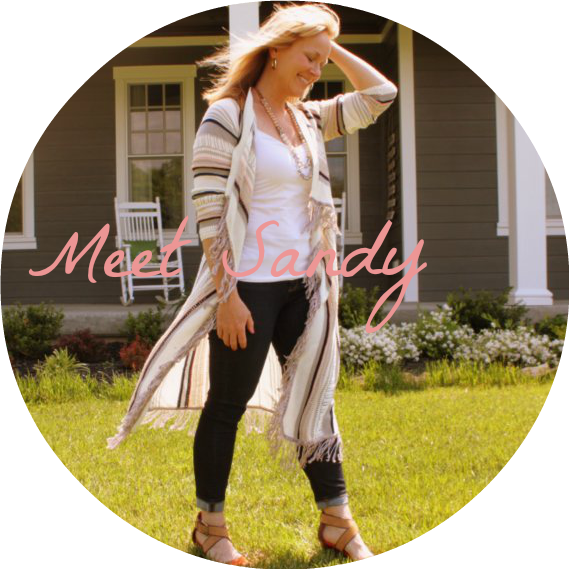 Happy 10th blog birthday Sandy! I found your blog a little over 4 yrs ago — when I was in the depths of depression. I was probably searching “Christian depression” and (I think) I happened upon your blog from a comment you wrote on the “Do Not Let Your Heart Be Troubled” blog. I was desperate for transparent, non-judgmental, Christian voices on dealing with depression and anxiety and you all were truly a God-send. I’ve followed you ever since as you are truly a gifted writer. Your voice is so clear and relateable. It surely helps that we’re both about the same age and I’m also a mom. The vulnerability many share in their blogs is much like a support group.. so needed today. It’s sad that the church often feels like the least welcoming place for people with struggles. Anyway, I did start a blog of my own, but I’m not as consistent with it as I’d like to be, nor is my voice as clear and strong as I’d like. But having the blog pushes me to practice and work hard to learn to better express myself. Thank you so much for great advice and for all the work you put in for you readers! Sandy!!!! I love you and your blog. I found you in 2011 when your blogger friend Tyler suggested you as speaker for our first event women’s retreat in March of 2012. Which is when I got to meet you and fall in love with you for real. Yours is the ONLY blog I read. I get emails from Lysa T and Pricilla S but I only read yours. It is SO good. I recommend it to people all the time. And I love that it is a bit of everything. Your humour and wisdom and love for people and Jesus makes everything worth reading. Your book is amazing. I’m still not done cause life but I love it. I think I’m avoiding the people pleaser chapter. Cause that’s totally me. Your peanut butter balls are also amazing. And your white chilli. And your chicken pot pie. Keep writing. Please. Cause I need it. But if you don’t that okay too. Cause it’s all about balance after all.